I work security and have been looking for a formidable boot knife. I came across the sub commander and decided to give it a shot and I am not disappointed. It’s the size a boot knife should be (about 3 1/2-4 in long), double edged and comes with a decent edge on it. This knife will be on my person at all times. 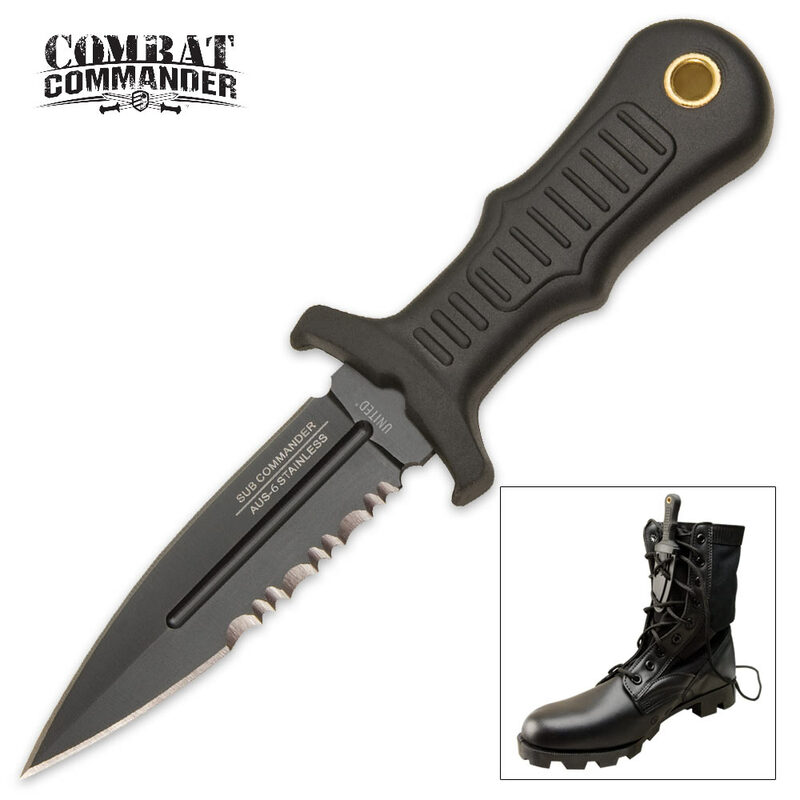 This is a great boot knife. I have it laced into my combat boots. Now no matter what I'm doing I'll always have a knife on me! Perfect knife for neck or boot! hard to find a knife that can double so eaisly and so well, very satisfied with what i got! little smaller than how the image shows and the serrated portion is a little small but hey, its supposed to be for concealment. Love it, perfect size and great quality. I read a lot of reviews on this knife so I bought one and the only complaint I have is it came with an edge on it but was not sharp enough to cut paper. I cant complain about having to sharpen a brand new knife considering the price. but other than that its small and cant even feel itsw laced into your boots. Nice little neck/boot knife, seems well made and arrived fairly sharp. Loved the price. I have bought other boot knives that are more like full size weapons. This little beauty is perfect. 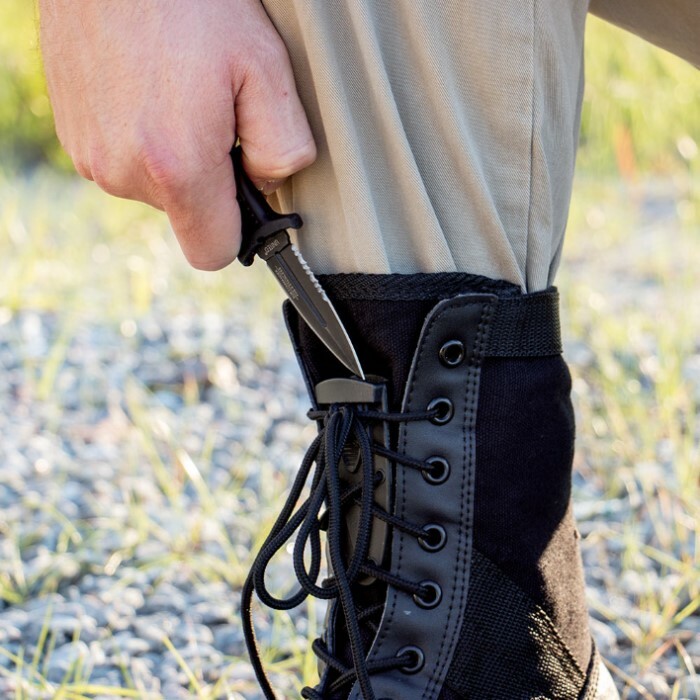 Not only is it small enough to wear on your boot, the sheath gets attached to the boot with the laces! This allows the knife to be pulled out of the sheath, which is just not true with many other boot knives. I bought three and only gave one as a gift because I like it so much I kept the other two. 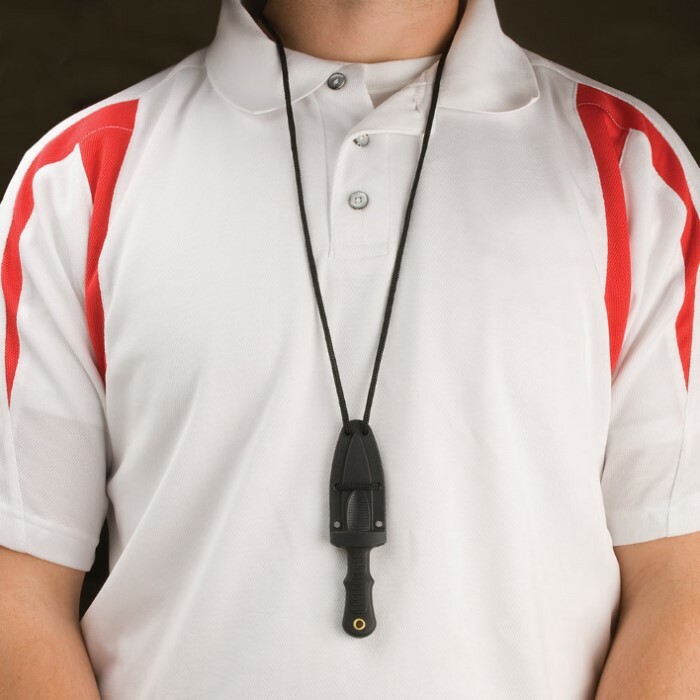 Nice little backup blade - it wears comfortably around the neck once you adjust the length of the lanyard correctly and you hardly know it's there. I wouldn't want to rely on it as my primary, but as the saying goes, "one is none, and two is one". Always good to have an extra edge!